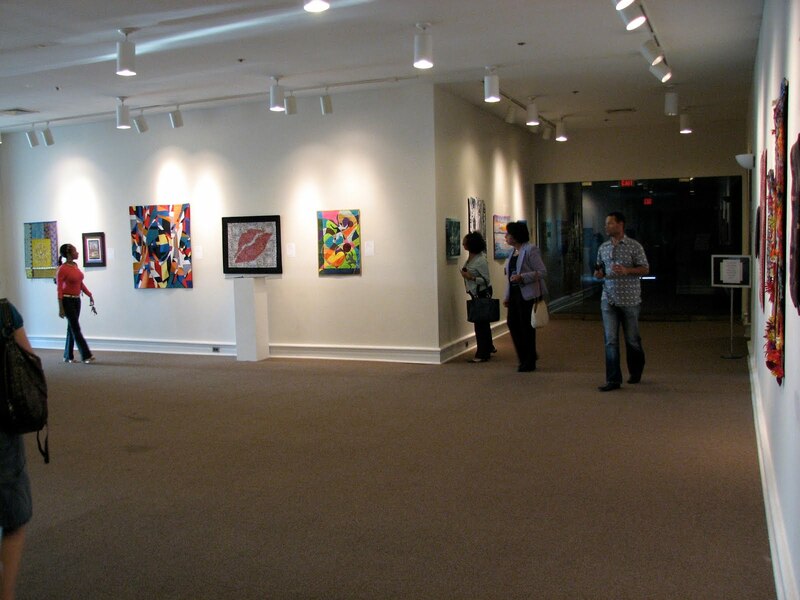 This is an installation photo from PAQA-South's eighth annual juried exhibition. My quilt, "Jacob's Coat," is the multi-colored piece in the middle of the wall. I love the size of the work you have, has lots of presence. Nice to see the install as well.